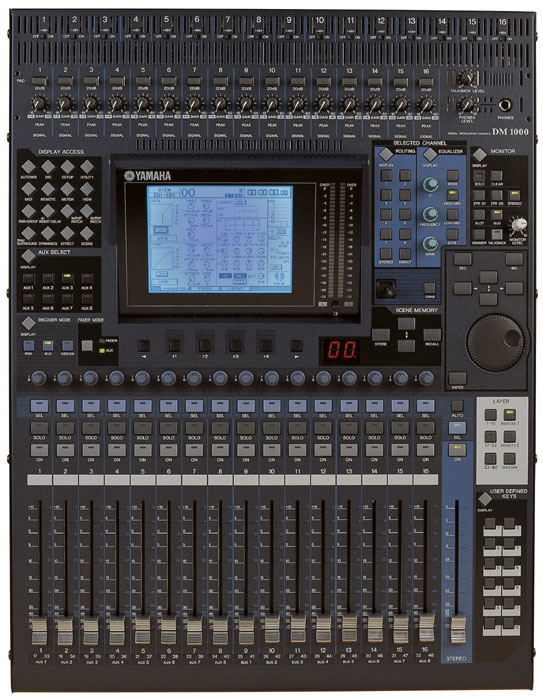 After establishing theDM2000 Digital Production Console and 02R96 Digital Mixing Console in the professional production market this year, Yamaha is launching yet another new console at AES in October 2002. The new DM1000 Digital Production Console is a direct sibling of the flagship DM2000, in a very compact rack mountable body of 577 (D) x 199 (H) x 430 (W) mm (22.7" x 7.8" x 16.9"), 19 kg (42 lbs). While it shares key features such as 96 kHz audio, Surround Monitoring, Studio Manager, and DAW Control with the DM2000 and 02R96, the DM1000 is designed especially for commercial production needs such as post-production, audio for video, and broadcast. 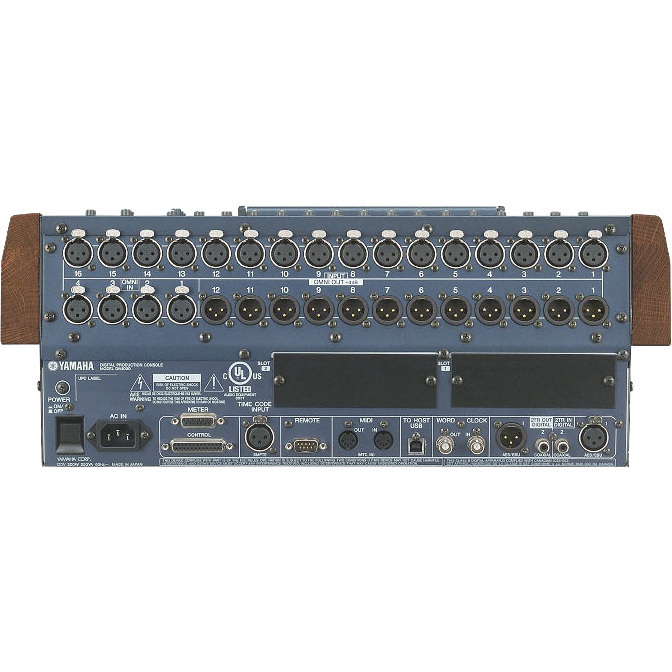 Since it is rack mountable, the DM1000 can also be used in any application, including live sound reinforcement. The DM2000, 02R96 and DM1000 are compatible with each other, with mix data easily interchangeable using bundled Studio Manager software. From large format to small format, Yamaha offers a solution for all digital mixing needs. The DM1000 is set for delivery in March 2003, at a projected MSRP of $5,000 USD (excluding the MB1000 meter bridge and SP1000 side panel).